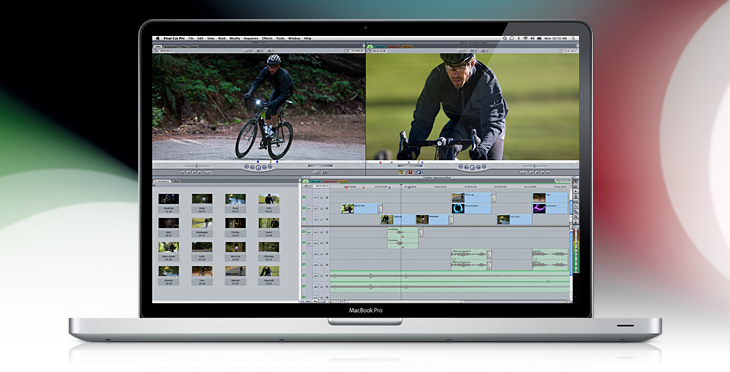 The first choice for professional editors everywhere, Final Cut Pro 5 delivers powerful and precise editing tools that work with virtually any format, from DV and native HDV to fully uncompressed HD. With a real-time multistream effects architecture, multicam editing tools, advanced color correction and intuitive integration with other Apple professional video and audio applications, Final Cut Pro gives you more creative options and technical control than ever before. With native support for virtually any video format all in one application, Final Cut Pro 5 lets you edit everything from DV and SD to to DVCPRO HD and uncompressed high-definition video. Work with new formats like native HDV (long-GOP MPEG-2) and 50-Mbps IMX. Capture and output video frames accurately using professional decks, or go tapeless with built-in Panasonic P2 media support. View and browse P2 devices, then transfer the files you need directly into the Final Cut Pro 5 Browser. Simultaneously view and cut from multiple sources in real time, thanks to new multicam editing for DV, SD and HD. Group up to 128 sources together into multi-clips, then add or subtract cameras at any time for maximum flexibility. Switch from shot to shot, with or without effects, and auto-assemble sequences based on time-of-day timecode.